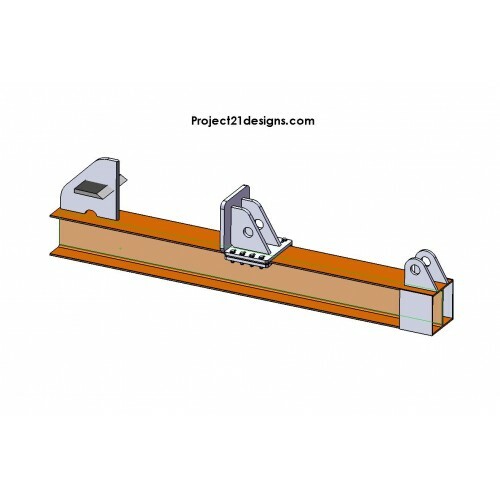 it will fit a range of rsj from 170mm - 210mm in width, and comes with shims to alter the thickness. there are four sizes of ram brackets - 50mm, 40mm, 30mm, 25mm - please let me know which size you need. to build this kit you will need to have an rsj, hydraulic ram, spool valve & ram pins and a hydraulic supply i.e tractor, mini digger, hydraulic power pack, old dumper etc. if you don't have a powerfull welder, most engineering companys or mobile welders would find this an easy project to do.